There are lot of hidden features of Android Marshmallow 6.0. You can use these features to easily customize the settings as per your need. Developer feature is one of the most interesting and useful hidden feature of Android Marshmallow. 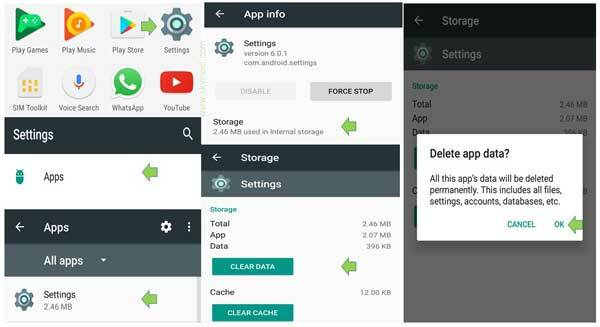 This guide helps you to quickly enable and disable Developer option on Android Marshmallow phone. Developer mode in your Android Marshmallow allows you to quickly enable debugging with the USB. You can easily capture bug reports of your Android Marshmallow and show CPS usages on the screen. By default developer mode does not shown on your Android phone. But you can easily enable and disable Developer option on Android Marshmallow. Android Marshmallow has an awesome hidden settings on your phone which is called Developer mode. You can easily and quickly enable USB debugging and also use ADB feature on your phone. But first you have to unlock the hidden Developer feature on your Android Marshmallow. If you want to enable Developer mode on your Android Marshmallow phone then you just have to take few given simple steps. Step 1: Tap on the “Settings” option on your Android Marshmallow. Step 2: In the Settings window you have to tap on the “About Phone” option of your device. Now, tap on the “Build number” seven times to activate the Developer mode. 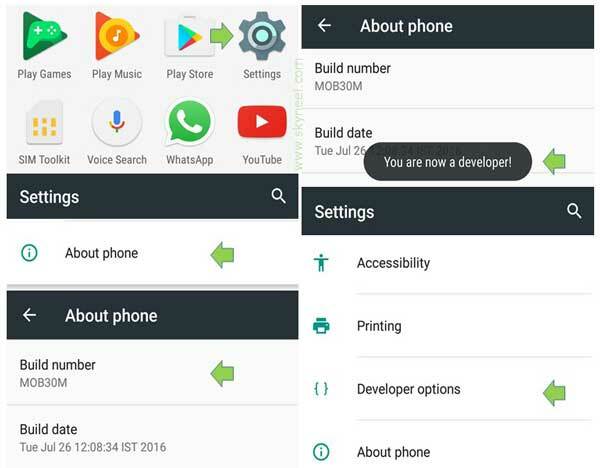 Now, the “Developer” mode is activated on your Android Marshmallow phone. If you don’t want to continue with “Developer” mode on your phone then you have to take few steps to easily hide or disable the Developer option on Android Marshmallow. Step 1: Tap on the “Settings” option on your Android Marshmallow phone. In the “Settings” window tap on the “Apps” option. Step 2: Select “All Apps” option in the “Apps” window. Now locate and tap on the the “Settings” option. Step 3: In the “App Info” window tap on the “Storage” option. Now, tap on the “Clear Data” option in the “Settings” window. Now get back to the “Settings” main window of your phone, now you check you have to disable or hide Developer option from Android Marshmallow phone. I hope after reading this guide you an easily enable and disable Developer option on Android Marshmallow. If you have any suggestion regarding this guide then please write us in the comment box. Thanks to all.